So let me start off by saying this is not so much a technology post but more of a fun-times-in-the-office kind of post. That being said, I believe that this will be an intriguing read for all. First and foremost, I’m Japanese. Born and bred in the city streets of Tokyo. So naturally I attempt to sneak in my country’s culinary traditions into the office. I thought it’d be interesting if I conduct a taste test for two very similar products which brought joy to my childhood. They’re both chocolate filled wafer type cookies that are oh-so-yummy. And not to forget, all Japanese merchandising come in “kawaii” (a.k.a. cute) packaging. However, one shall reign supreme over the other so without further ado, let the battle begin! 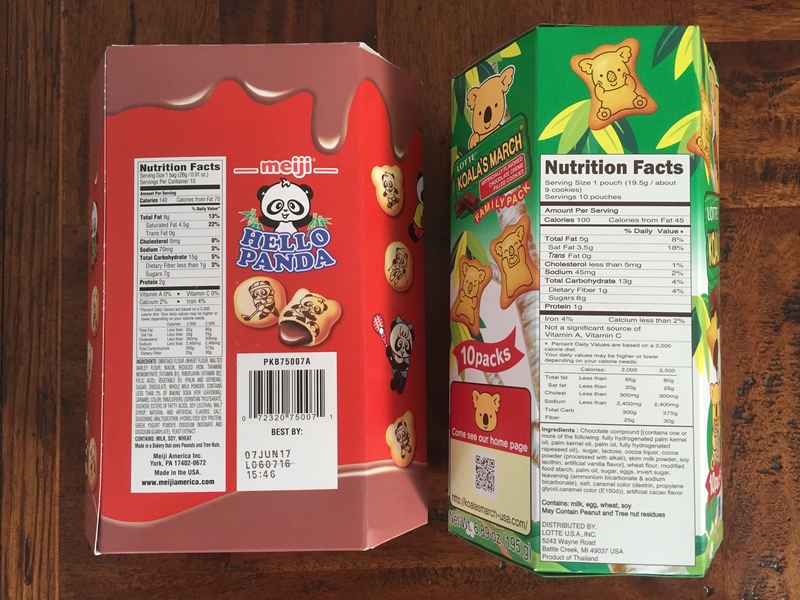 CP’s verdict: Meiji’s pandas are simply adorable, LOVED the cute packaging, and no exposed chocolate. But Lotte is more bite sized, nice yummy chocolate, crispier texture, and better balance with airiness of outside shell & chocolate. I prefer Lotte. YL’s verdict: Lotte has a more melt-in-your-mouth smoothness and the filling tastes like Nutella. 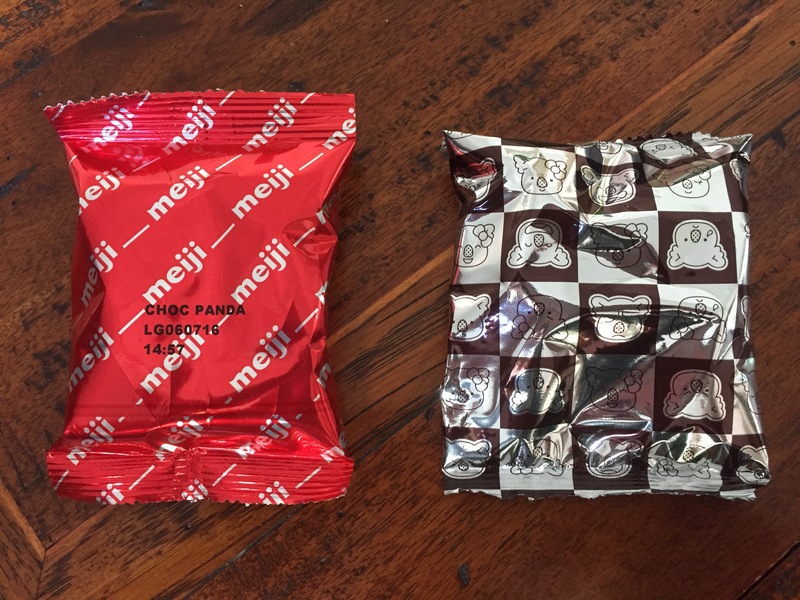 But Meiji is delightfully crunchy on the outside and the chocolate filling is smooth & of premium quality. I prefer Meiji. 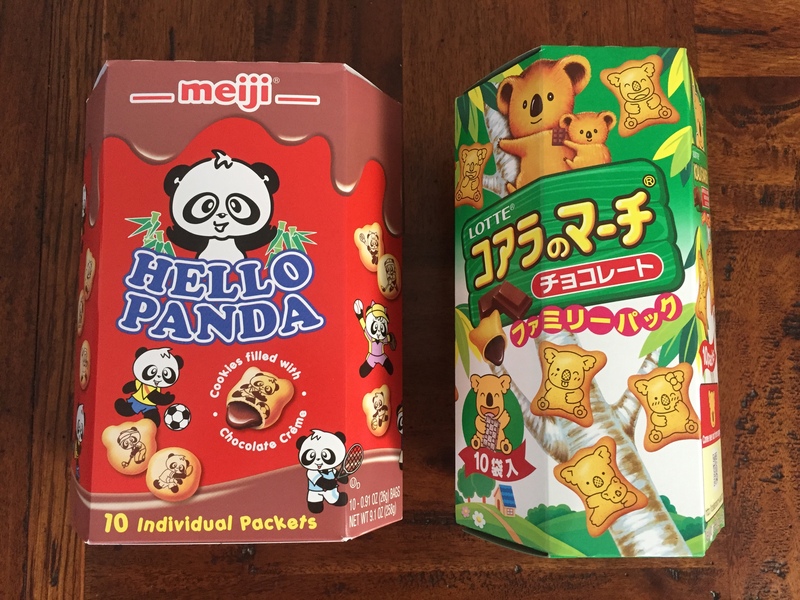 DH’s verdict: It’s a tough decision, but I like the Meiji Pandas a little more. I’ll admit the appearance wasn’t on the same level as the Lotte Koalas, but in the end, I favored the chocolate that Meiji used. It had a more melt-in-your-mouth type of experience. Delicious! TB’s verdict: Meiji wins. The chocolate has a deeper flavor and the thicker, crunchier outside is great! MM’s verdict: Lotte has a superior outside shell with a crispier texture but that Meiji chocolate is on point. And being a chocoholic, Meiji is the winner. CM’s verdict: They were both yummy in my tummy. Far better quality than any of the snacks you find stateside. The print quality and variety of koala characters fascinated me so I choose Lotte. My verdict: Just to be clear, my vote is skewed. I have fonder memories of Lotte so they get bonus nostalgia points. I have to go with Lotte . So there you have it folks, Meiji wins this throw-down! Did this sort-of-off-topic-but-fun article strike your fancy? Have suggestions or requests for more content similar to this one? Let us know via FB or twitter and please share!